RESTful APIs are all the rage in the web development community, but there’s a surprising lack of consensus about how to build them the right way. There are a multitude of tutorials, blog posts, and even videos preaching the REST gospel, and sometimes it seems like no two of them even agree with each other! 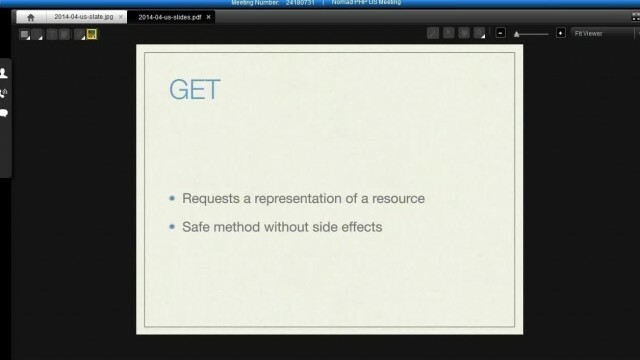 If you’ve ever been confused about whether to use PUT or POST, or found yourself wondering what the heck an unsafe non-indempotent operation is, this talk will set you straight. Veteran software engineer Samantha Quiñones will walk you through the 2001 doctoral dissertation that started the REST revolution, presenting these fundamental concepts in a way that developers of every skill level will appreciate. Then, through practical examples, she will describe how easy it can be to build truly RESTful HTTP APIs, and how you can be a part of creating a web that’s more scalable, more approachable, and more connected than ever.